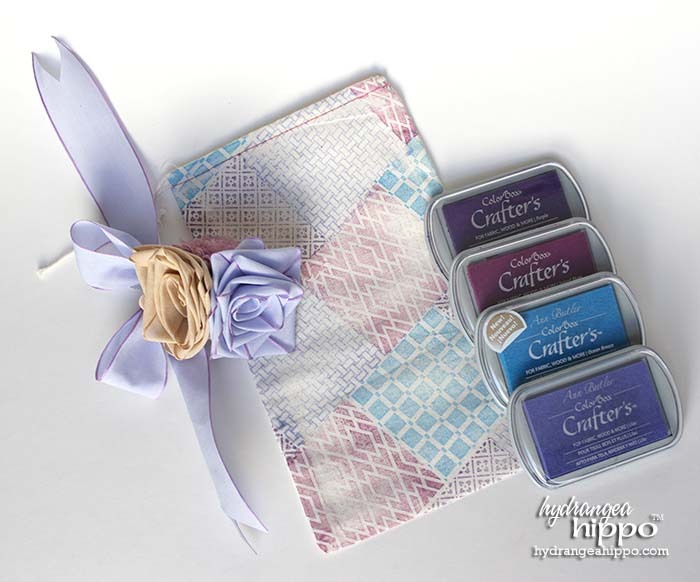 Create a Pretty Faux Quilted Gift Bag to welcome a guest with Clearsnap ColorBox Crafter's Ink and ColorBox Background Basics stamps by Ann Butler Designs. I added a removable pin to the bag as a pretty way to dress it up. The pin can be clipped anywhere so the recipient can wear it in their hair, on a sweater, or attach it to another gift in the future. Fill the bag with all kinds of fabulous spa goodies. I am planning to use this bag for a guest welcome gift when we have guests stay over. I've filled it with an essential oil lavender spray for the bed, a bag of cedar shavings to place in their suitcase, and a scented soap for freshening up. Be sure to pin this idea to save for future use! This project is great for Mother's Day or a gift for a friend who travels and so much more beyond Valentine's Day! 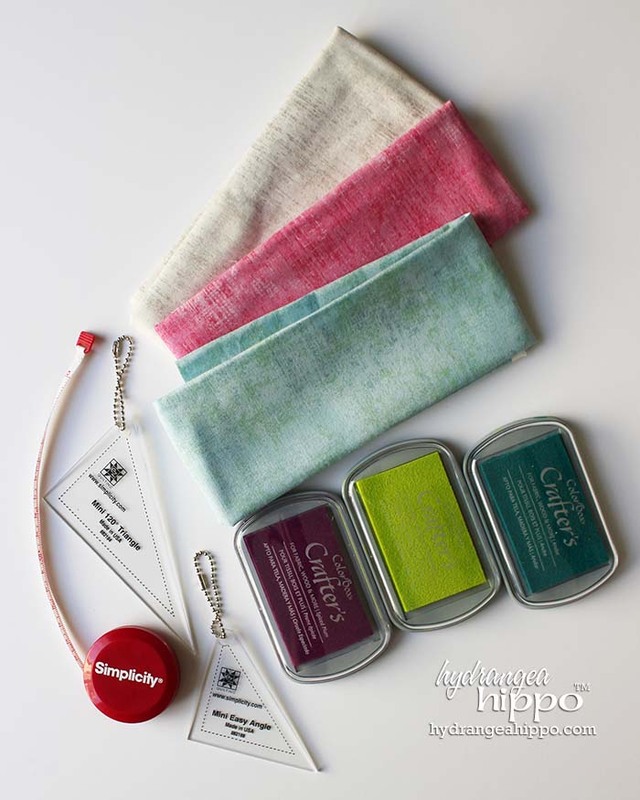 Follow the Clearsnap team and Ann Butler team on a blog hop showcasing faux quilting with stamps and ColorBox Crafter's Ink! Hop along to each blog in the hop and leave a comment on each post. Who do you enjoy creating gifts for? Tell me in the comments! 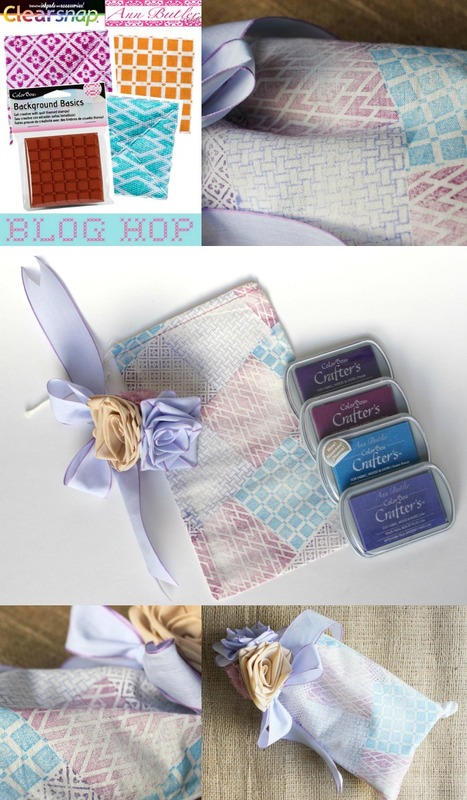 Enter to win this fabulous giveaway from Hydrangea Hippo: ColorBox Crafter's Inkpads, ADORNit Quilting Fabric, and Simplicity Quilting Tools. Love you project. I would even be a nice gift for someone in a nursing home. The background stamps are so versatile and could be used for so many different projects. Love the colors of the Clearsnap inks and have put both on my wish list.